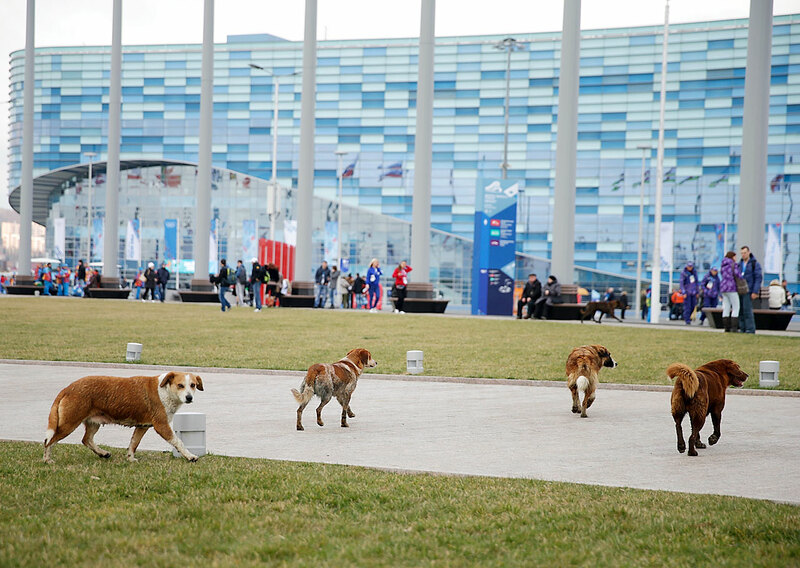 Sochi’s domesticated strays became famous when the sporting world descended on the 2014 Winter Games. Where are they now? 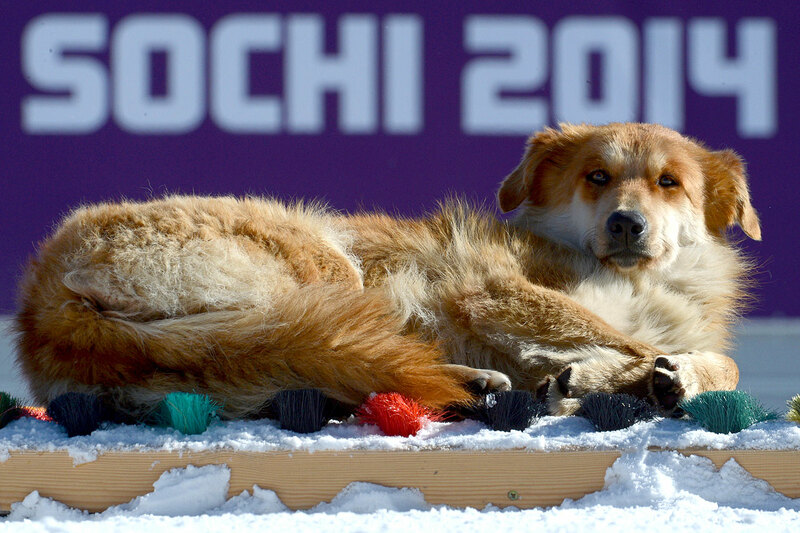 These are good days for Sochi Jacobellis. A typical morning for the wiry-haired mongrel with the deferential demeanor and big, floppy ears begins early, when he wakes and races downstairs to the back door of the house that his owner, 29-year-old Olympic snowboarder Lindsey Jacobellis, shares with her parents near Stratton, Vt. Sochi’s first order of business is a quick romp in the yard, after which he returns inside and wolfs down breakfast. From then on the day is pretty much his until suppertime. 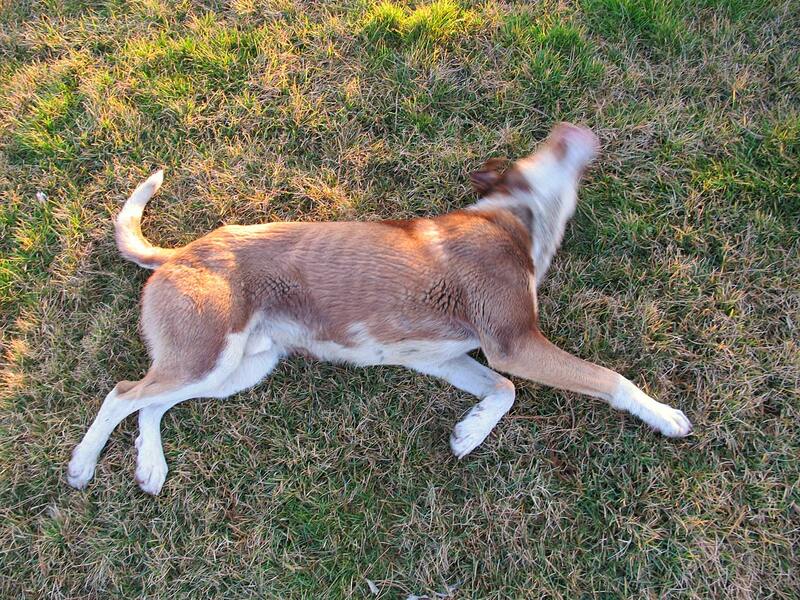 When the weather is nice, he spends most of his time wandering the Jacobellises’ 2½ acres, chewing on sticks, digging holes or running happy laps within the perimeter of the electric fence. 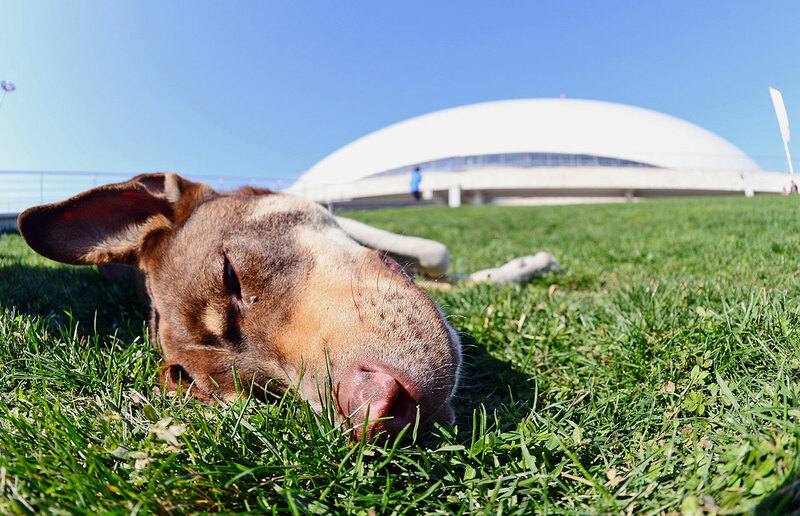 Otherwise, he’ll stay inside and gnaw on a chew toy or search for sunny places to nap, often alongside the family’s other dogs, an 11-year-old German shepherd named Bear and Gidget, a 9-year-old Yorkie. 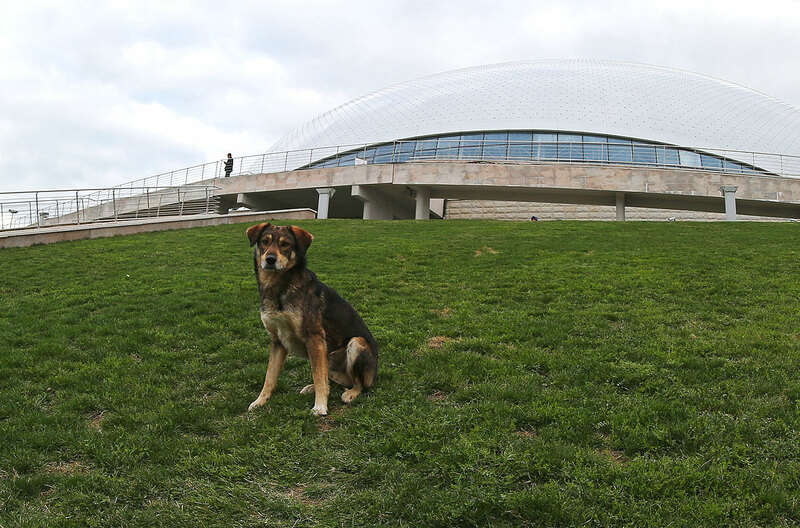 Altogether, it’s a long way from where Sochi was 16 months ago, when Lindsey met him at her hotel in Rosa Khutor, the Russian resort town in the Caucasus Mountains that hosted Alpine events for the 2014 Winter Olympics. 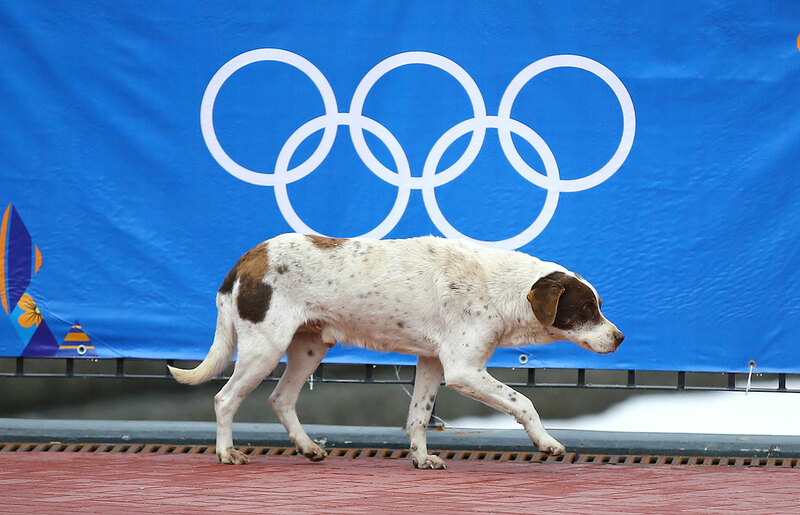 Back then Sochi—a mix of borzoi, Dalmatian, German shepherd, German shorthaired pointer, Tibetan terrier and white Swiss shepherd, according to the results of a DNA test—was just trying to survive. 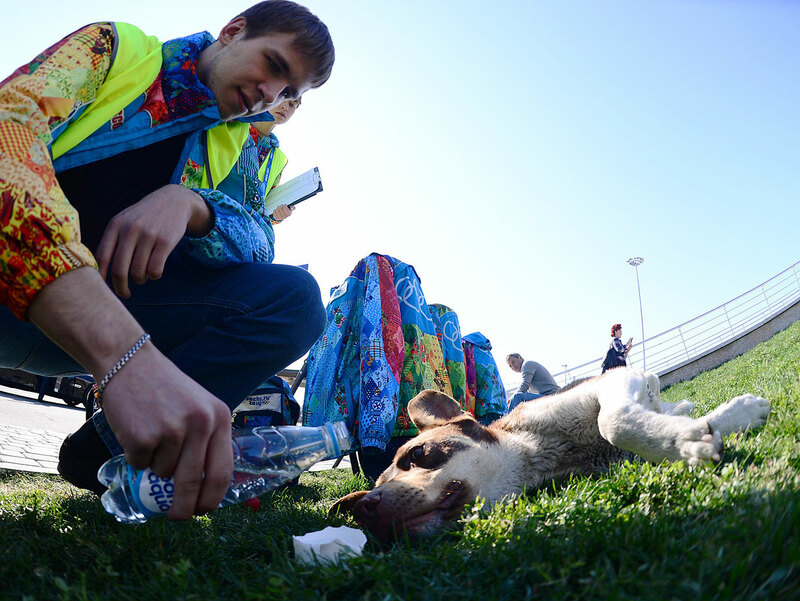 The 3-month-old stray was malnourished and had an eye infection; he sustained himself by begging for food while staying clear of hotel security. 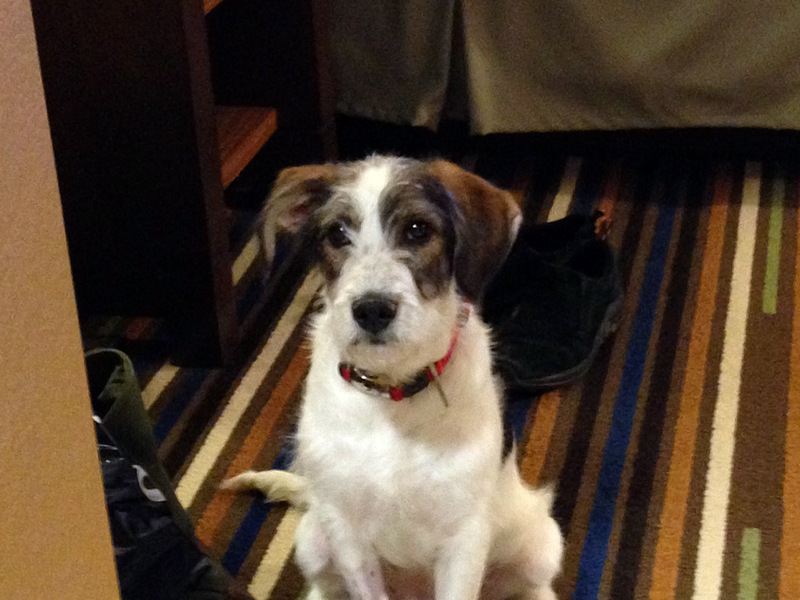 Jacobellis’s first encounter with the mutt came when he hitched a ride atop her equipment bag as she was wheeling it into the hotel lobby. 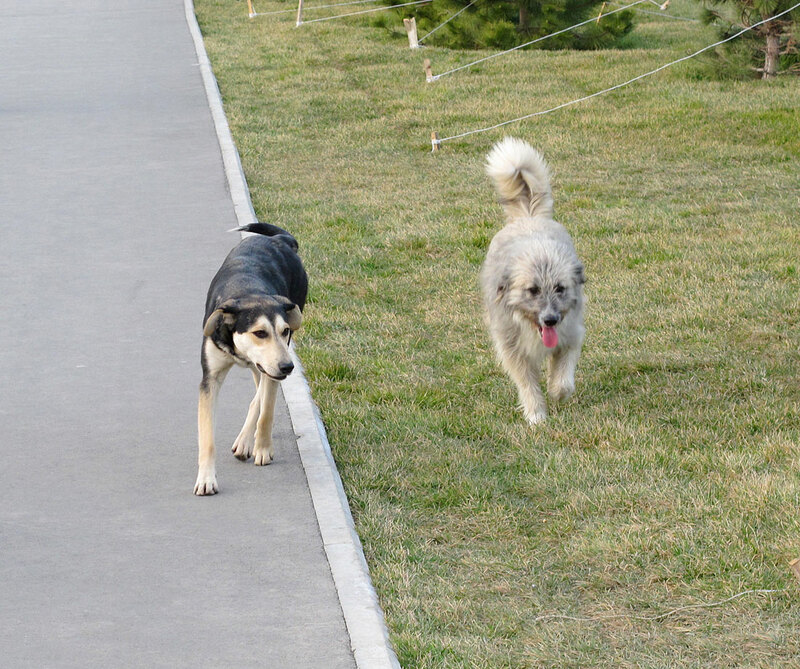 “I started bringing him treats,” she says. 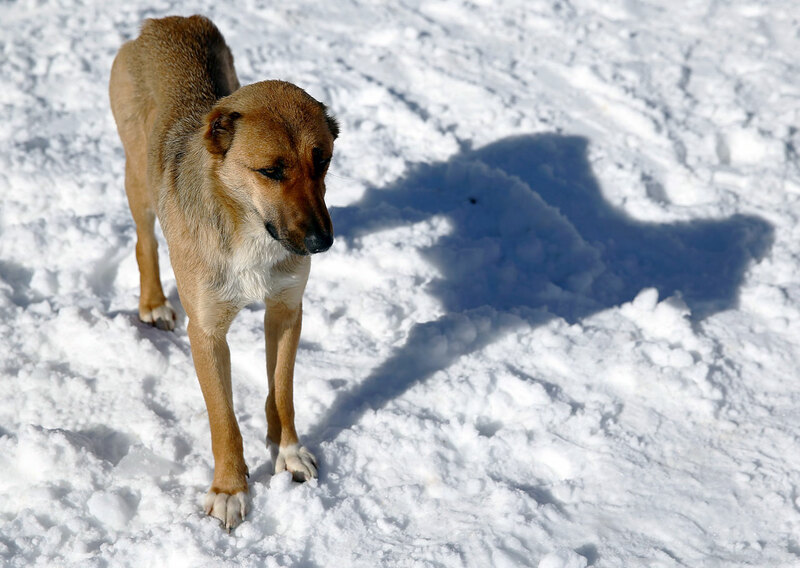 Within a few days she had U.S. Snowboarding chefs preparing bowls of table scraps for him. 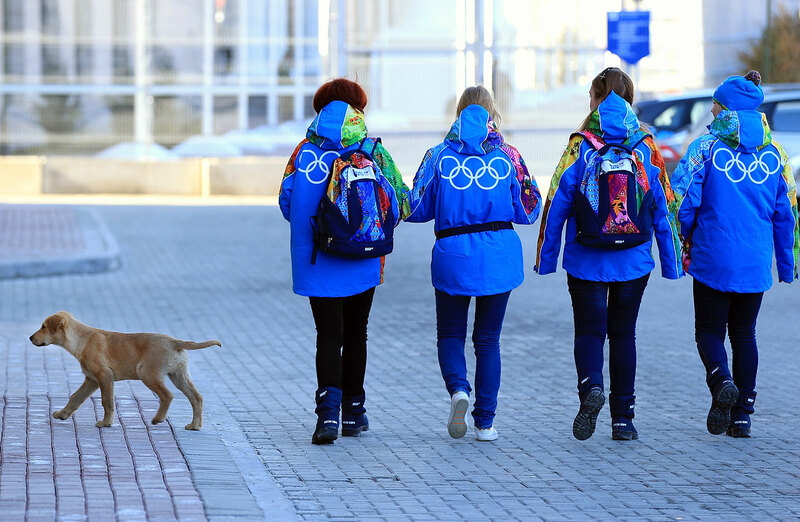 Not long after, she began looking into how to bring the puppy, whom she would name for the Olympics’ host city, back to Vermont. 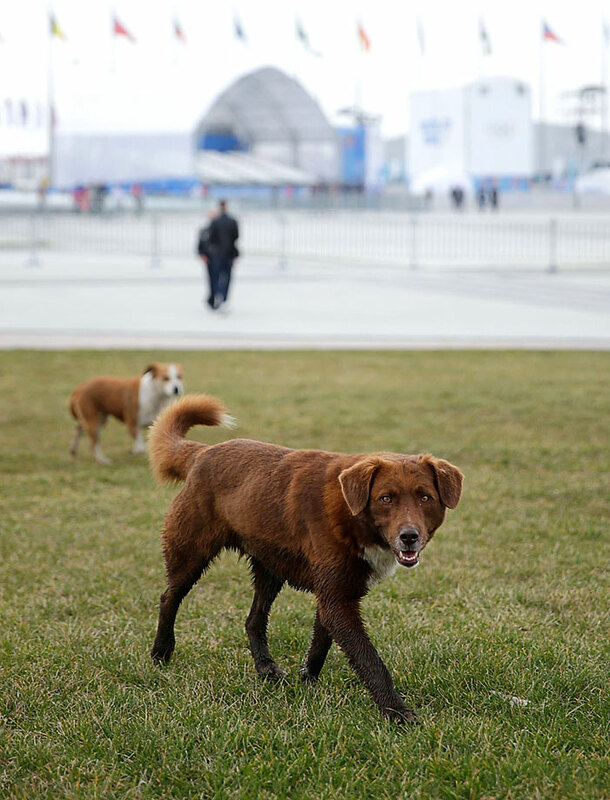 It wasn’t just the ubiquity of those strays that turned them into social-media sensations—it was the Russian government’s hiring of an exterminator, who called them “biological trash” and cited the danger of a ski jumper landing on one. 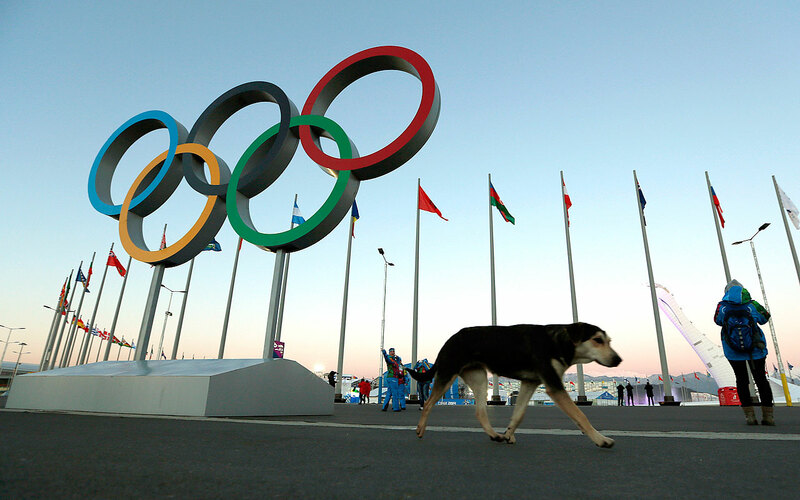 Hundreds of dogs were killed in the weeks before the Games. 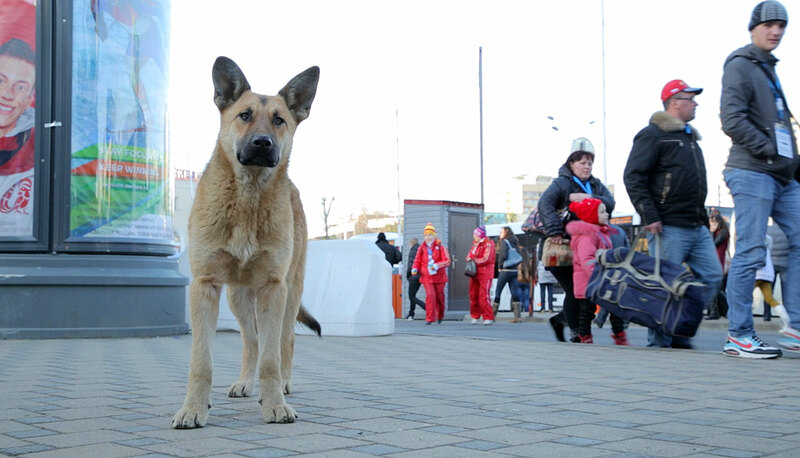 Jacobellis saw a security guard at her hotel kick Sochi. 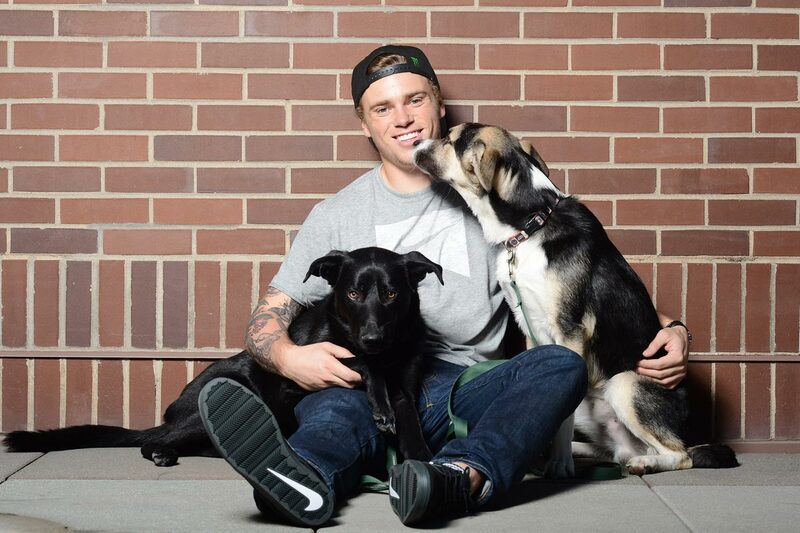 Stack and her teammates watched a friendly pooch they had been petting moments before get scooped up by two men who drove away in a white van. “That shook everybody up,” she says. 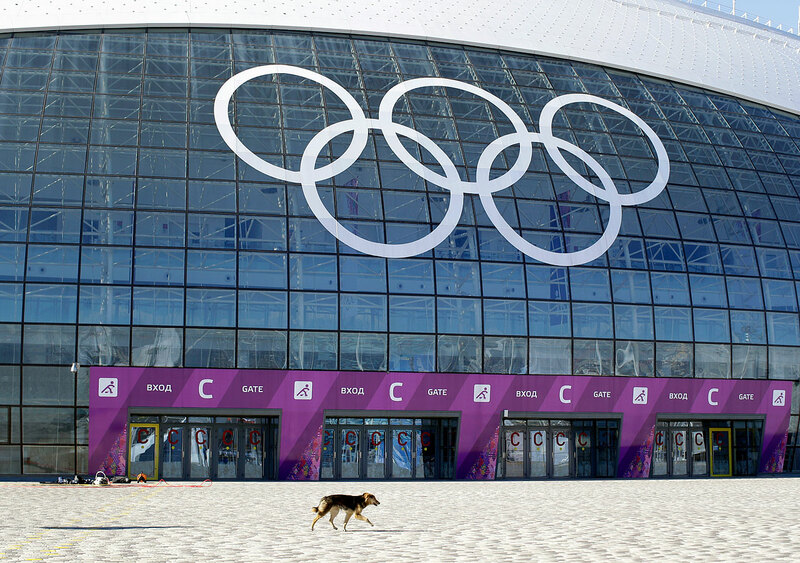 Moscow’s population is about 12 million; Sochi’s is around 365,000. 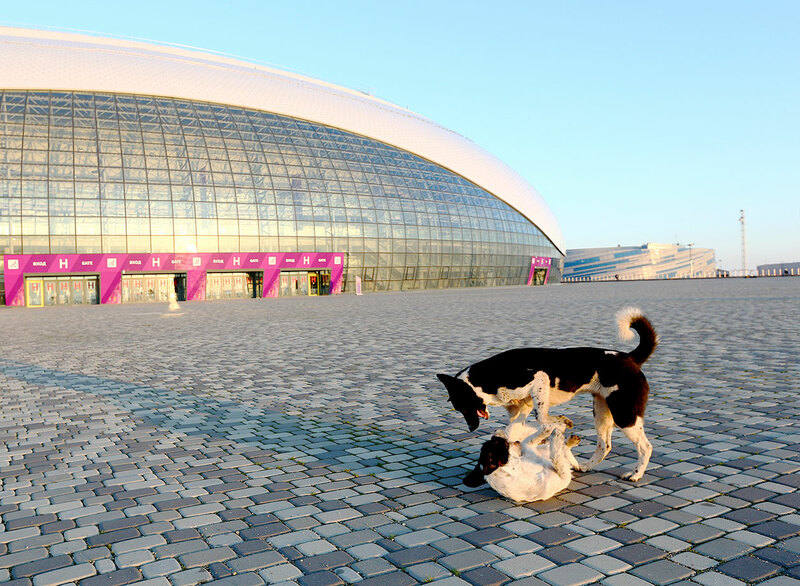 According to Neuronov, there are no statistics on the number of stray dogs in that city (one estimate puts it at 4,000), but theories about where they come from focus on the construction of venues for the most expensive Olympic Games in history. 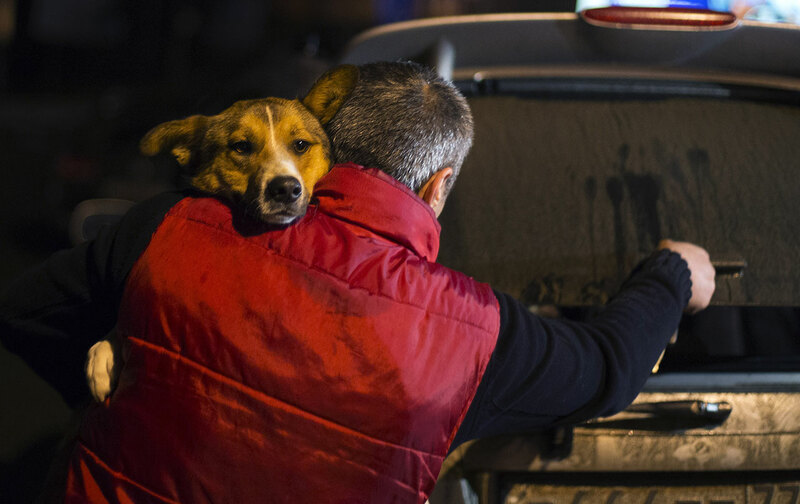 Some belonged to families displaced by construction, a number that Human Rights Watch has estimated to be about 2,000; others were owned (or fed) by the tens of thousands of construction workers who made the area their temporary home. 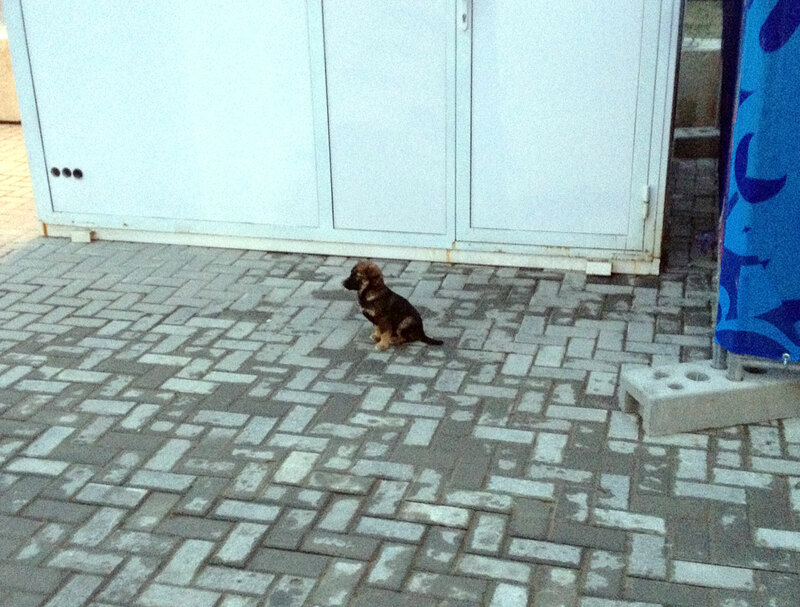 When those workers departed, the thinking goes, they left their dogs behind. 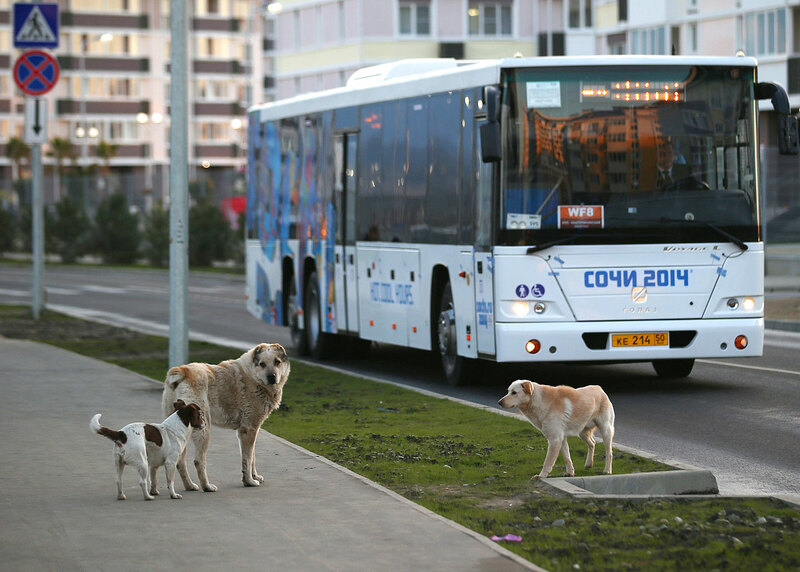 Sochi’s domesticated strays, who to visitors seemed friendly and approachable, became famous when the sporting world descended on the Black Sea resort town in February 2014. 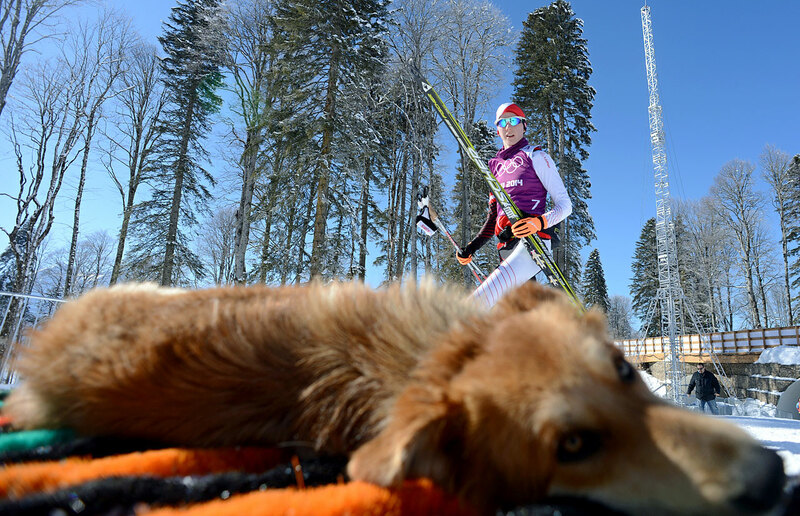 They blew up on Facebook, Twitter and Instagram, and on countless photo galleries; footage of one dog went viral after he wandered onto a cross-country ski course during a training run and began barking at competitors. 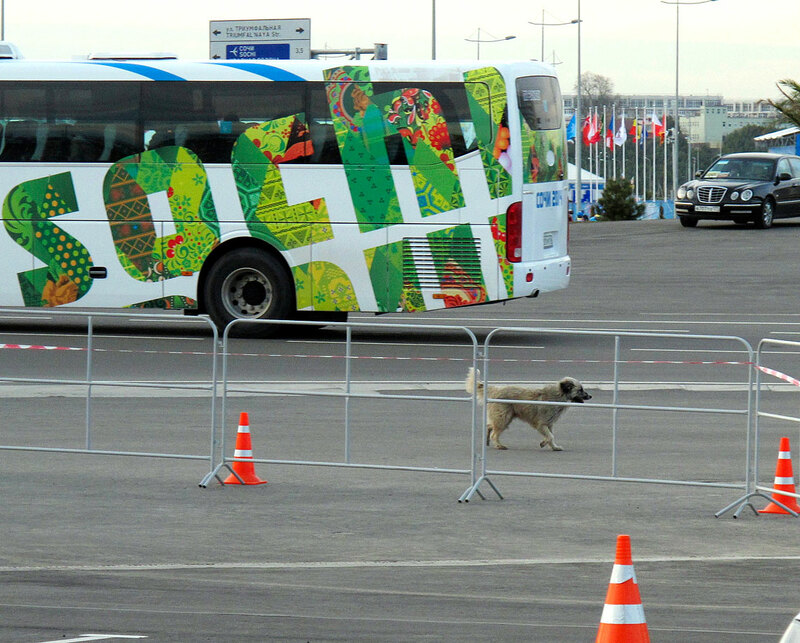 During the Games the two shelters were critical in helping athletes bring their adopted dogs home. 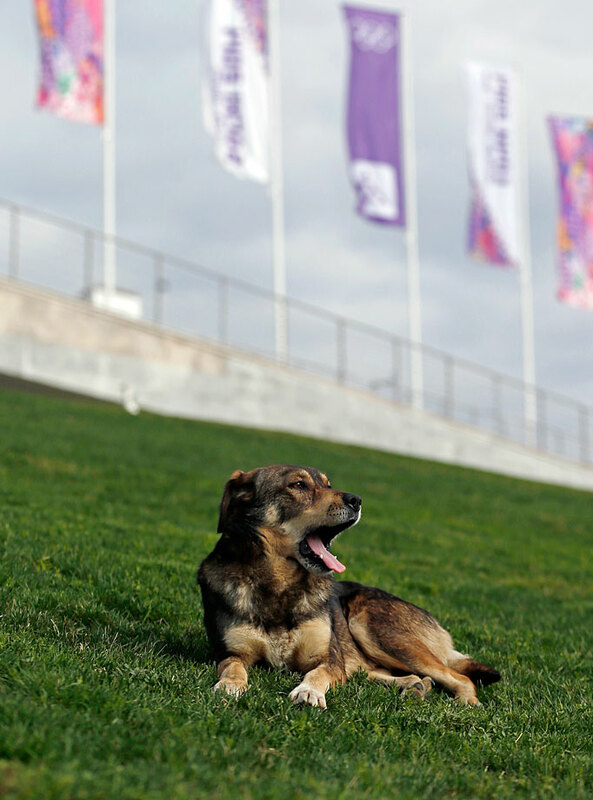 Stack, who won a silver medal, adopted Shayba (named for an Olympic hockey venue, itself the Russian word for puck), a 45-pound German shepherd mix, through Sochi Dogs. But most athletes got outside help. 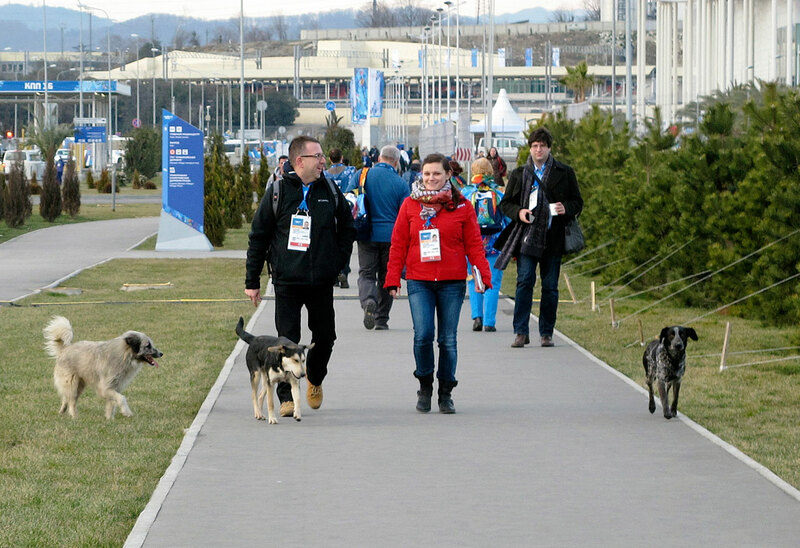 Jacobellis relied on the staff at her hotel to get Sochi’s paperwork in order. 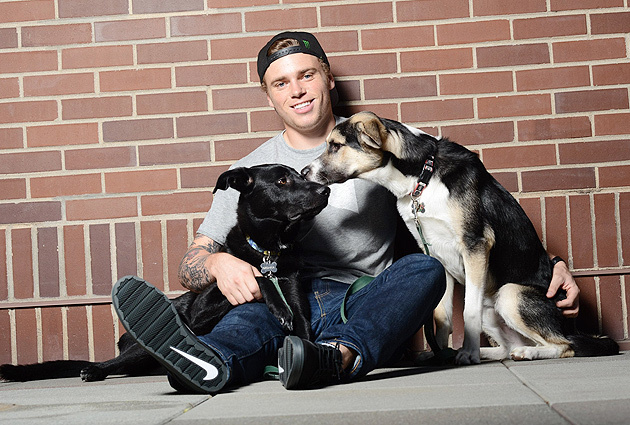 Kenworthy, who also won silver, had to return to the U.S. for a media tour after the Games, so his friend Robin MacDonald stuck around for nearly a month to complete the adoption of five mutts—a mother and her four puppies—that he’d bonded with near the Olympic media center. 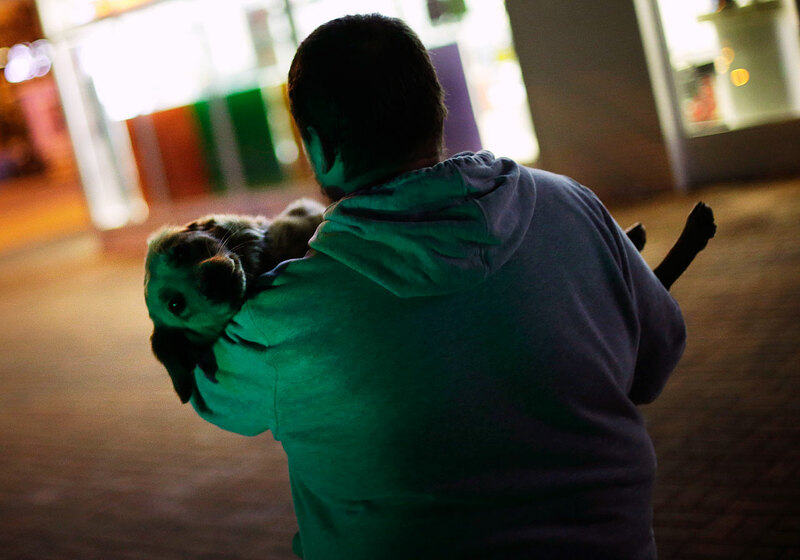 Backes, who runs a nonprofit animal-welfare organization called Athletes for Animals with his wife, Kelly, brought two mongrels back to St. Louis in his carry-on luggage—Kelly had completed all the paperwork while David was competing. 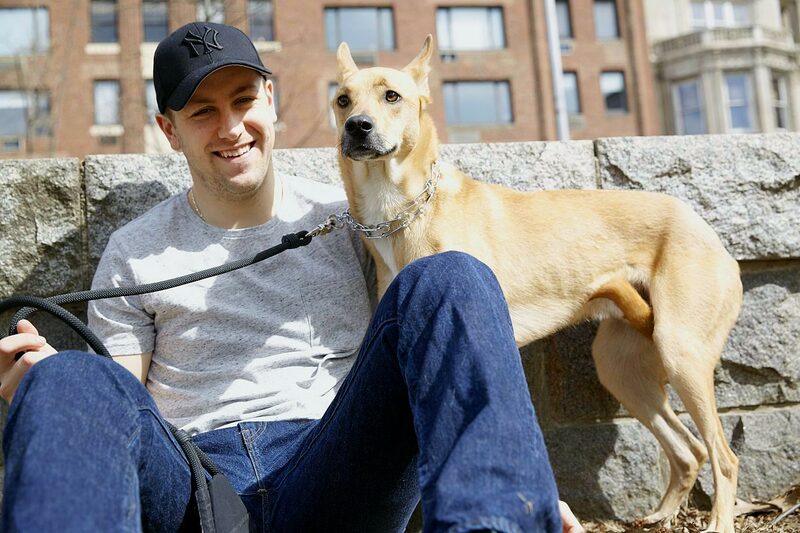 The Backeses already cared for two cats and four dogs, all rescued from U.S. shelters, so, after clearing quarantine, their dogs went to homes in New York: Sochi Jr. lives in Westchester County with the parents of Backes’s Blues teammate Kevin Shattenkirk; Jake is in Manhattan with Rangers center Derek Stepan (like Shattenkirk, a fellow U.S. Olympian) and his wife, Stephanie. 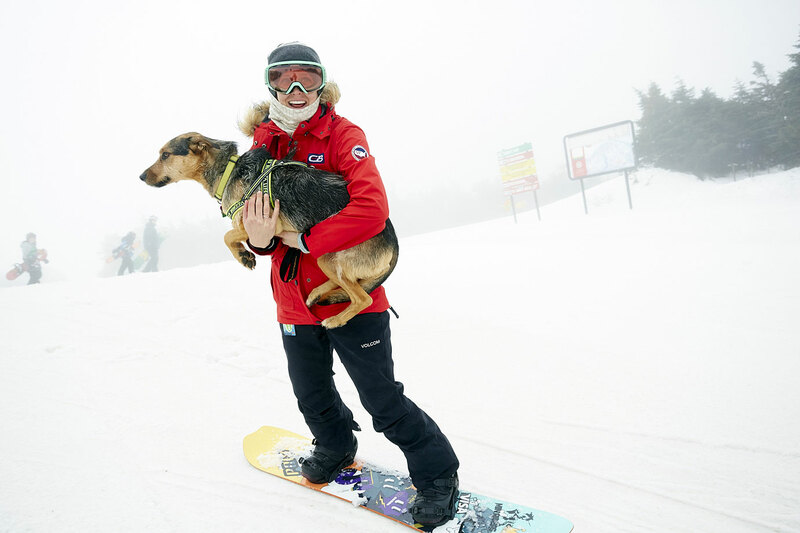 Olympic snowboarder Lindsey Jacobellis’s first encounter with the mutt came when he hitched a ride atop her equipment bag as she was wheeling it into the hotel lobby. 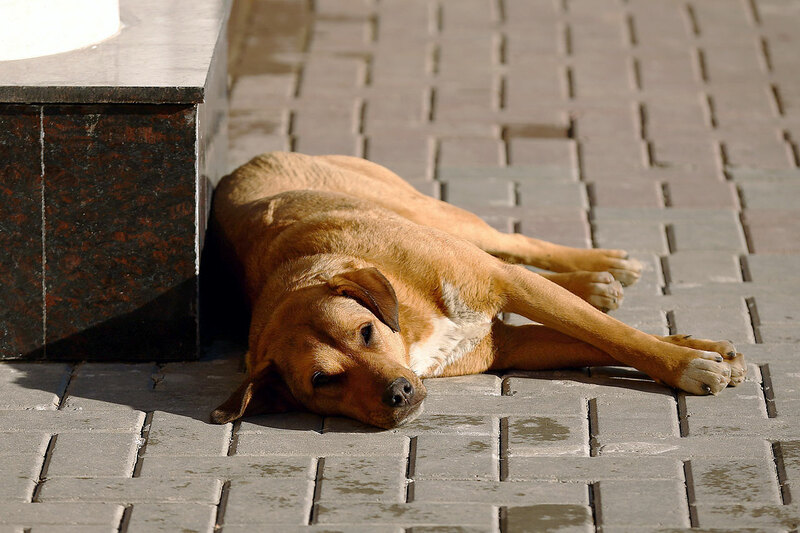 “I started bringing him treats,” she says. 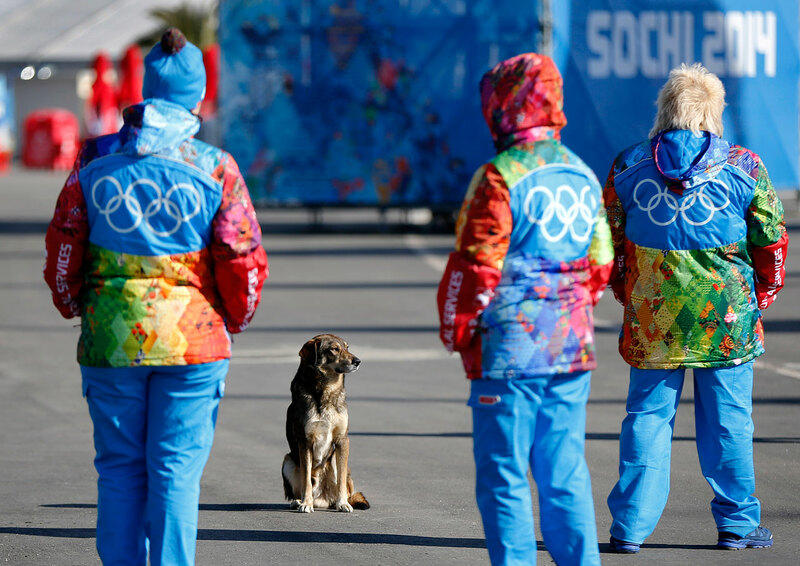 Within a few days she had U.S. Snowboarding chefs preparing bowls of table scraps for him. 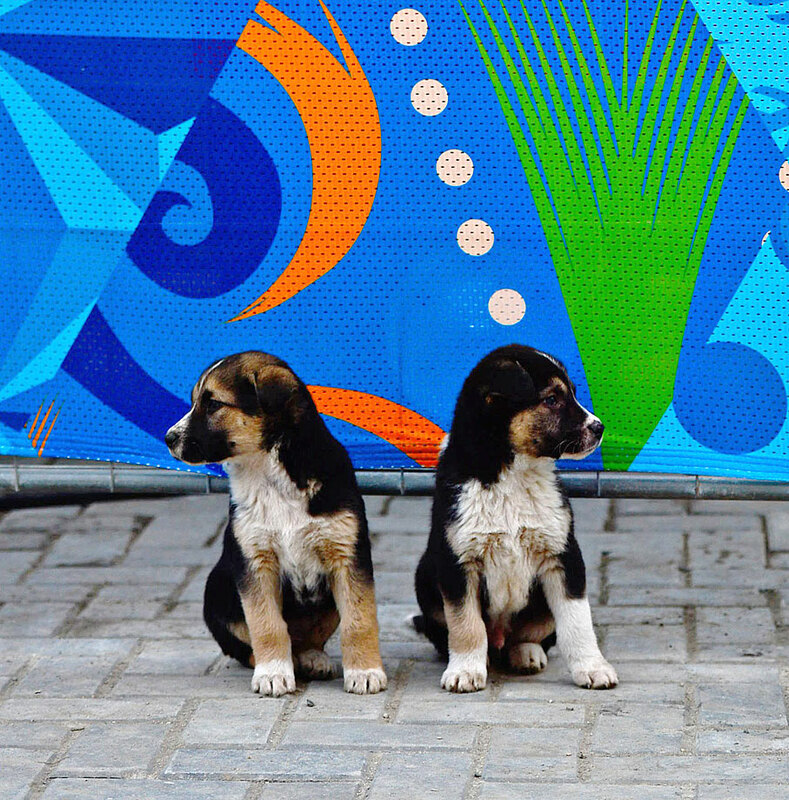 Not long after, she began looking into how to bring the puppy, whom she would name for the Olympics’ host city, back to Vermont. 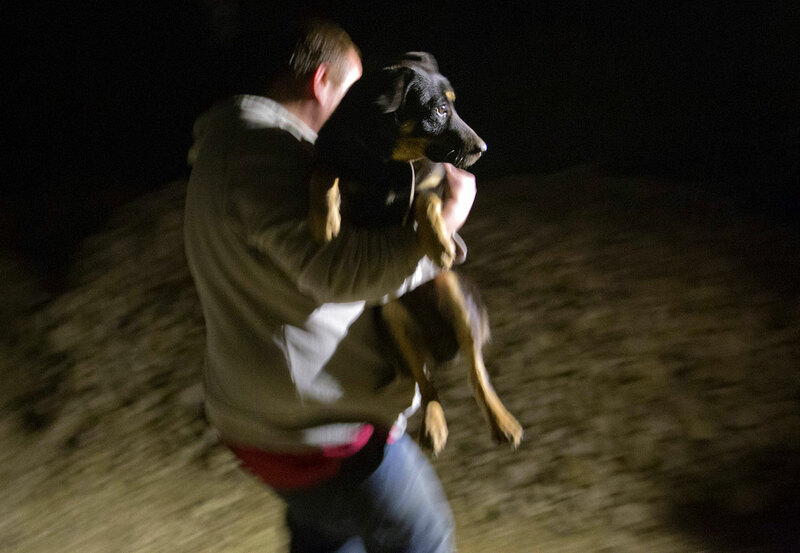 Blues center David Backes, who runs a nonprofit animal-welfare organization called Athletes for Animals with his wife, Kelly, brought two mongrels back to St. Louis in his carry-on luggage—Kelly had completed all the paperwork while David was competing. 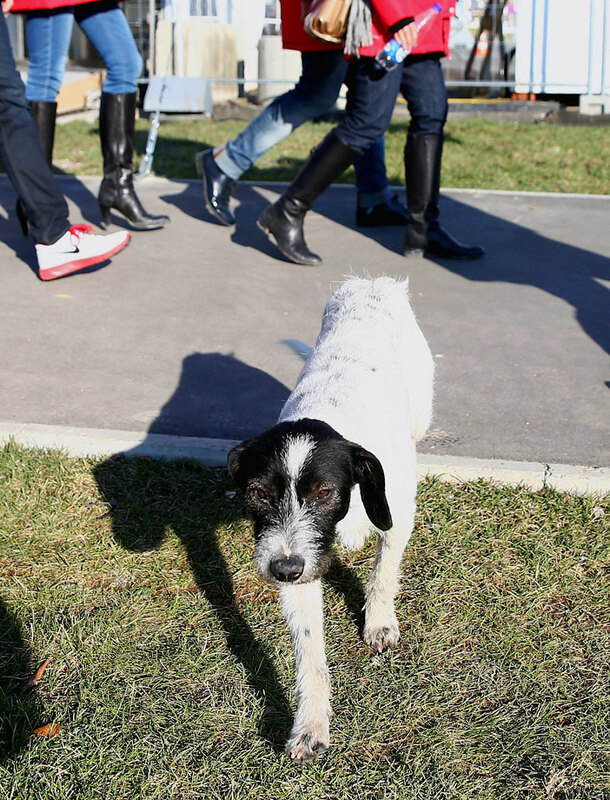 The Backeses already cared for two cats and four dogs, all rescued from U.S. shelters, so, after clearing quarantine, their dogs went to homes in New York. 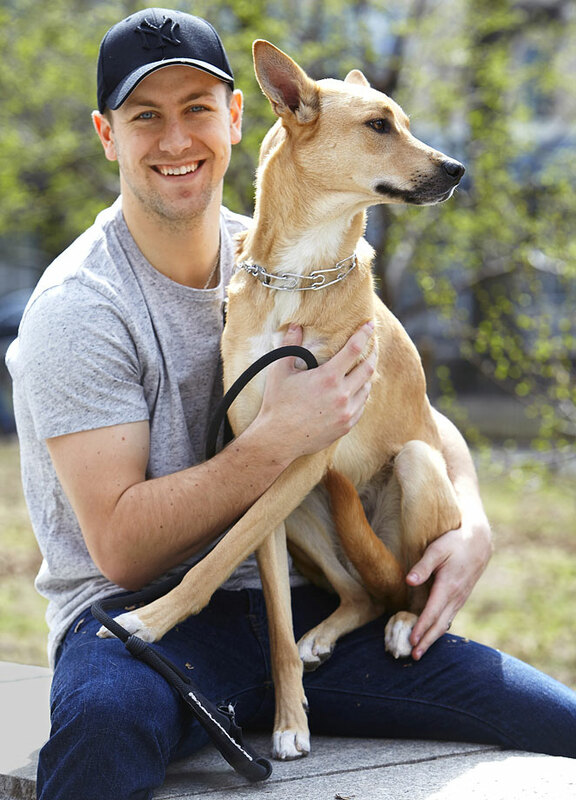 Jake is in Manhattan with Rangers center Derek Stepan. 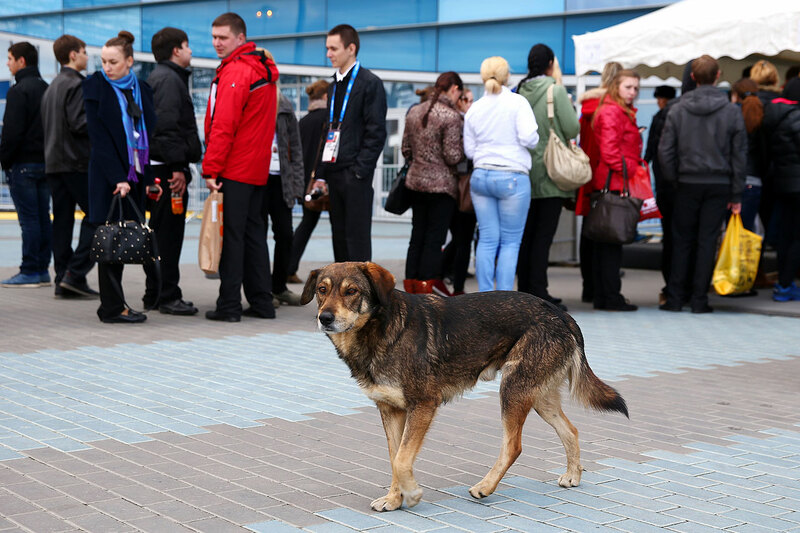 David Backes gave one of the dogs, Sochi Jr., to defenseman Kevin Shattenkirk, his Blues and Olympic teammate. 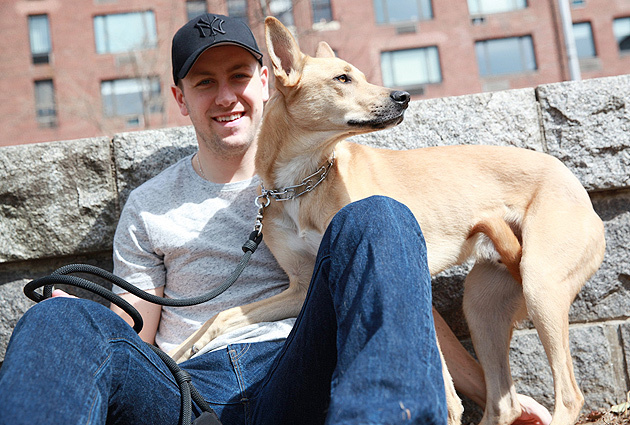 Shattenkirk, in turn, handed Sochi over to his parents, who live in Westchester County, N.Y. 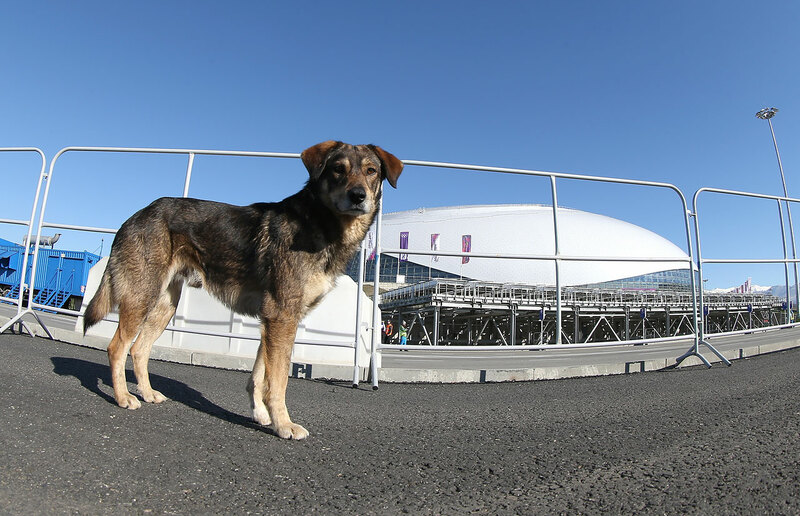 When the slopestyle skier first met Mamuchka, a mother dog and her four puppies, they were living under a trailer near the media center in Rosa Khutor. 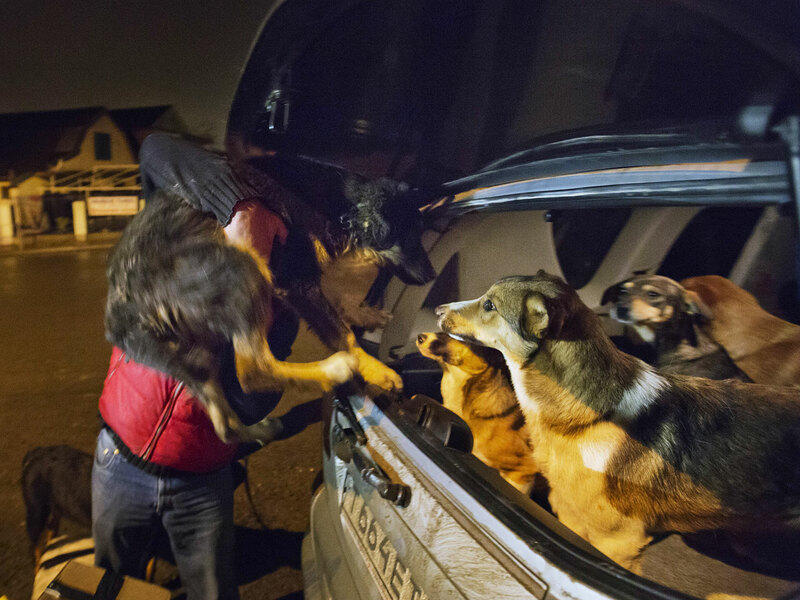 With help from Humane Society International and his friend, photographer Robin Macdonald, Kenworthy adopted the whole family. 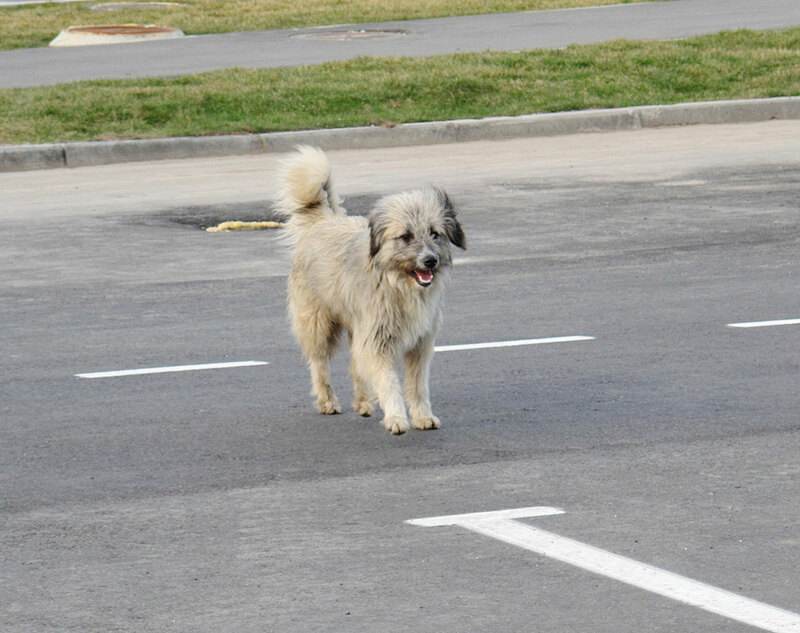 One puppy died before leaving Russia, and another, Rosa, died after getting to the U.S. 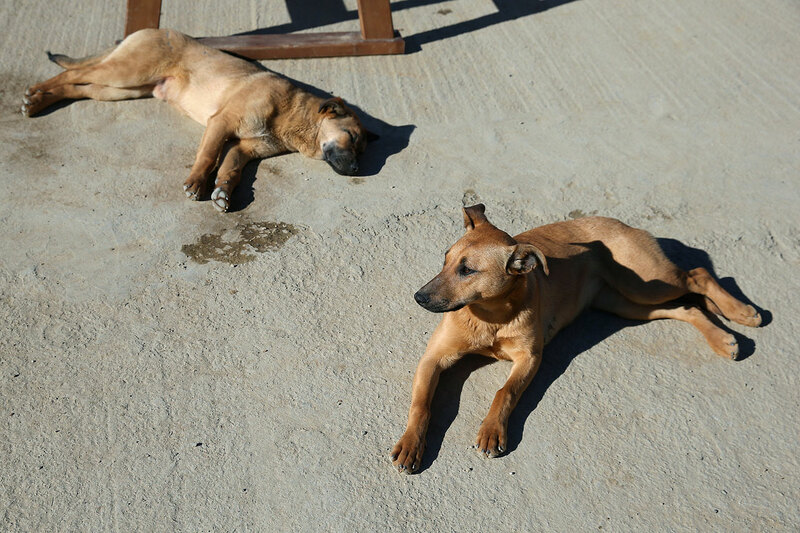 The two surviving puppies, Jake and Mishka, now split time between Kenworthy’s home in Denver and Macdonald’s home in Vancouver. 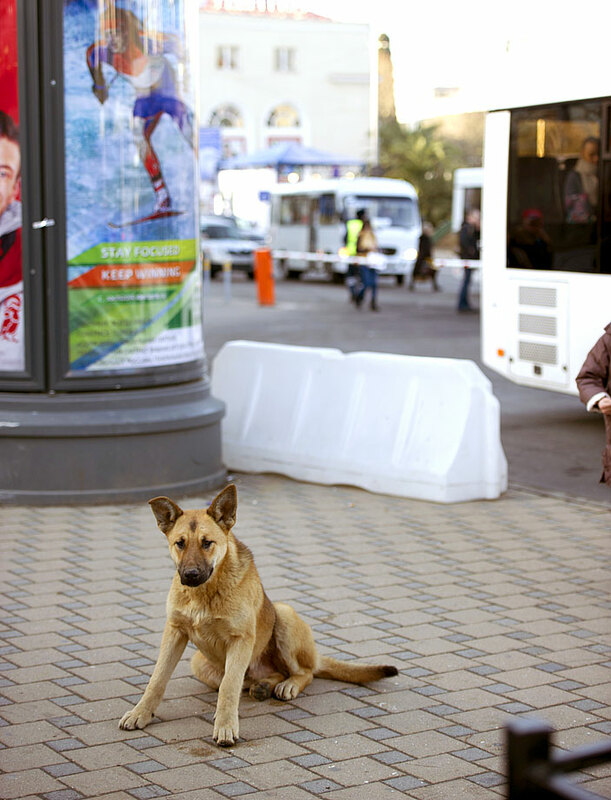 Mamuchka lives with Kenworthy’s mother, Pip, in the skier’s hometown of Telluride, Colo.
“I saw these dogs every day, and I knew what was happening to them,” says Kenworthy. 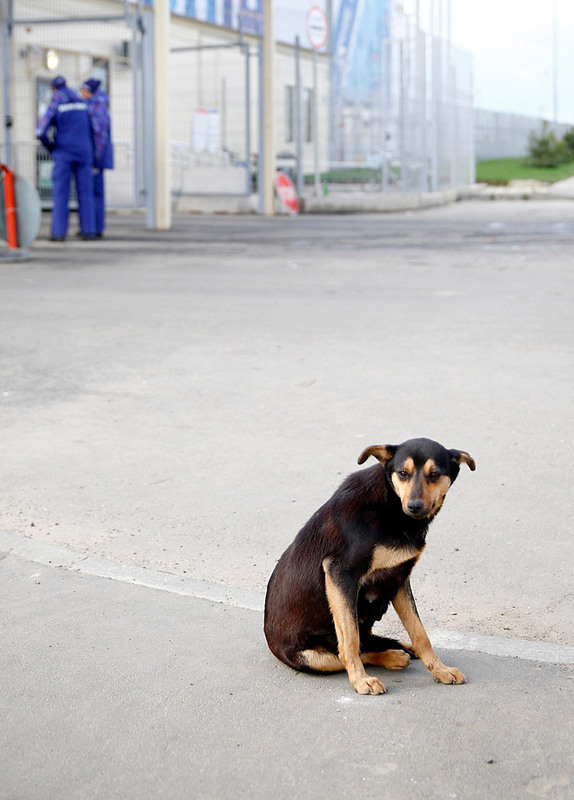 “I didn’t want that to happen to dogs that I had fallen in love with. Billy Bean also made the journey to the U.S. with the E! News crew. 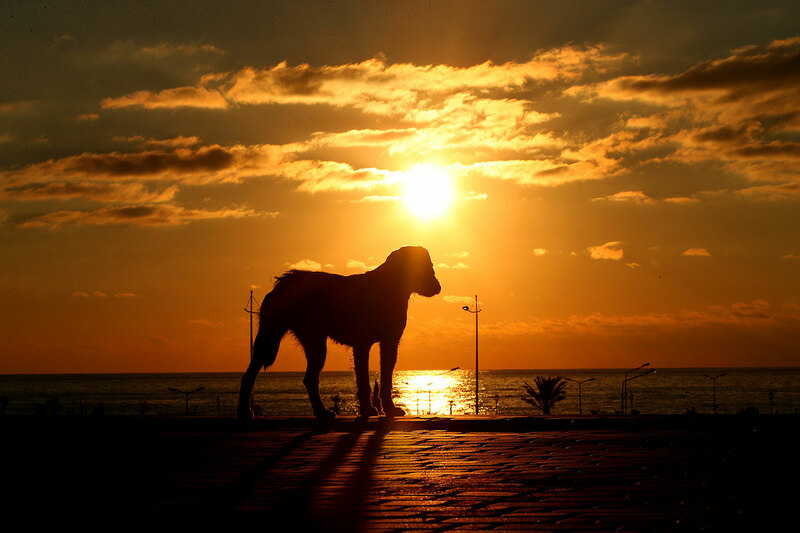 He lives on Katherine Heigl’s ranch in Utah—along with a number of other dogs, horses, miniature horses, goats and chickens—having come to the attention of the actress because his rescue was facilitated by her late brother’s foundation. 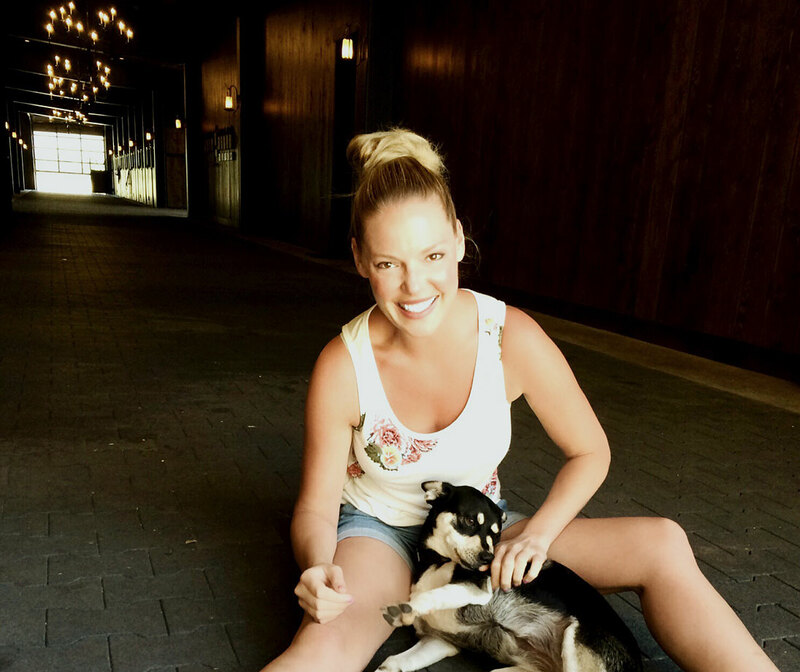 When Billy came out of quarantine, says Jennifer Brent, the foundation’s executive director, Heigl was in L.A. and said, “Oh, well, he can stay at my house!” The rest is history. 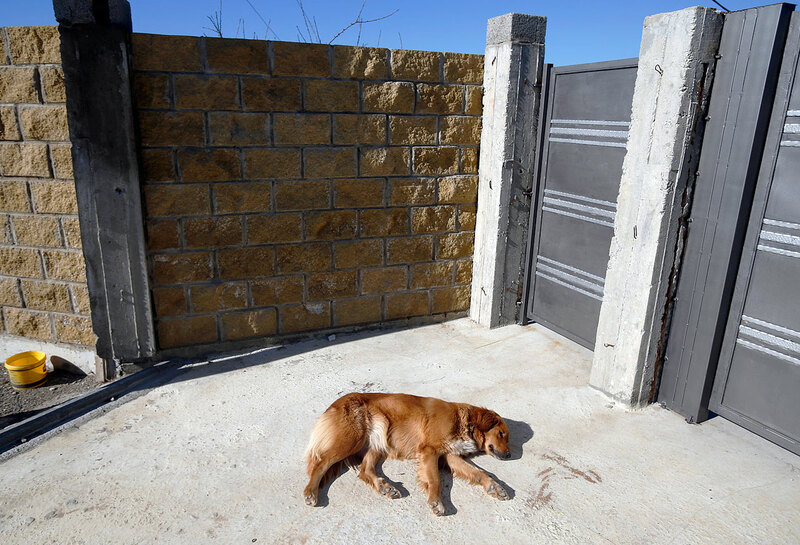 According to O’Meara, the South Korean government does not want to acknowledge the problem, nor has it been receptive to the Humane Society’s offers to help farmers transition from harvesting dogs to raising crops. 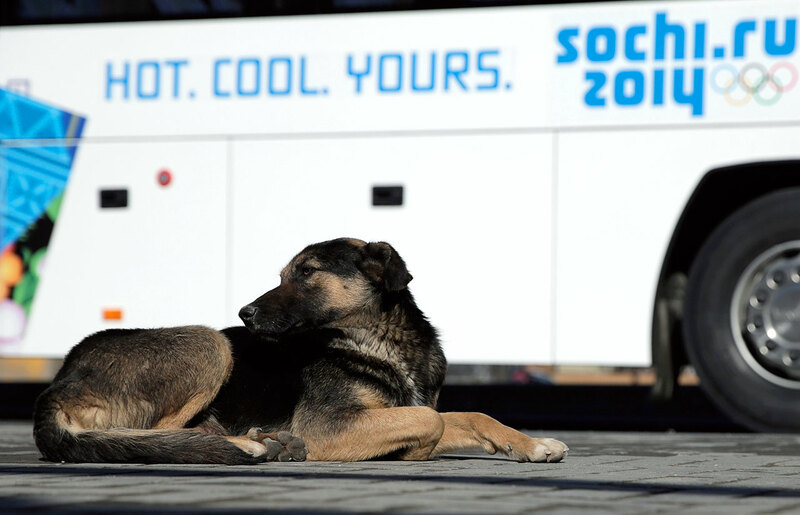 In that way, the situation closely resembles what happened in Sochi, where the Humane Society got no response from the Russian government after offering free spaying and neutering services. 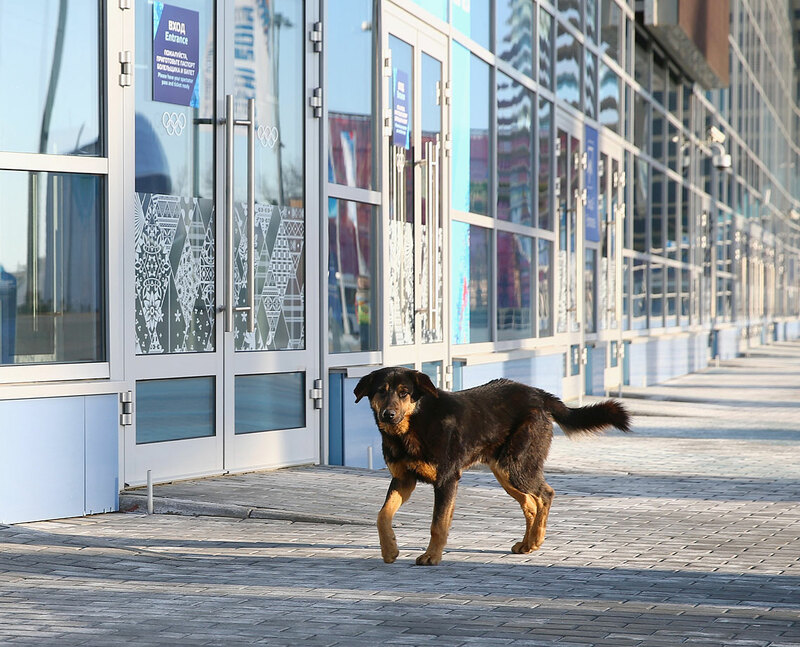 For Sochi Jacobellis, who splits his time between Stratton and the Jacobellises’ other house, in Roxbury, Conn., the days of privation and neglect are a distant memory, if they’re a memory at all. 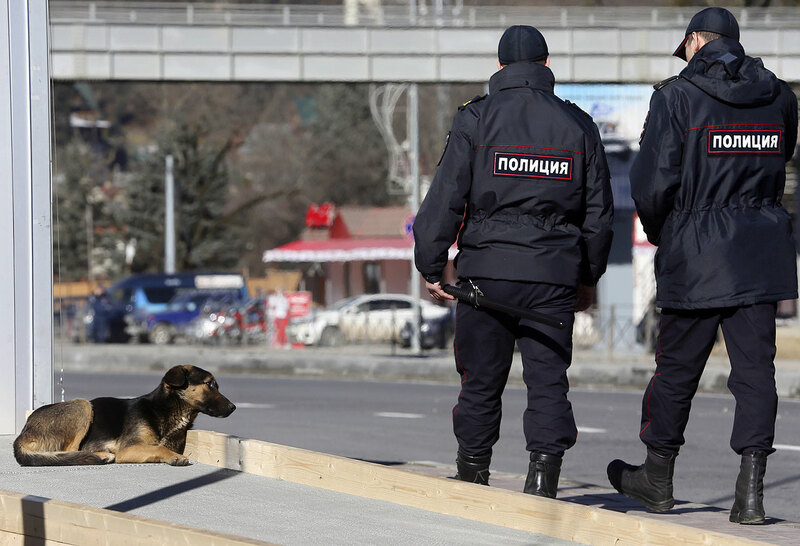 Lindsey notes that he’s not abnormally obsessed with food—he doesn’t snap at those who come close to his dog bowl—and he has long since overcome his aversion to tall men in suits, a remnant, presumably, of his run-ins with hotel security in Rosa Khutor. 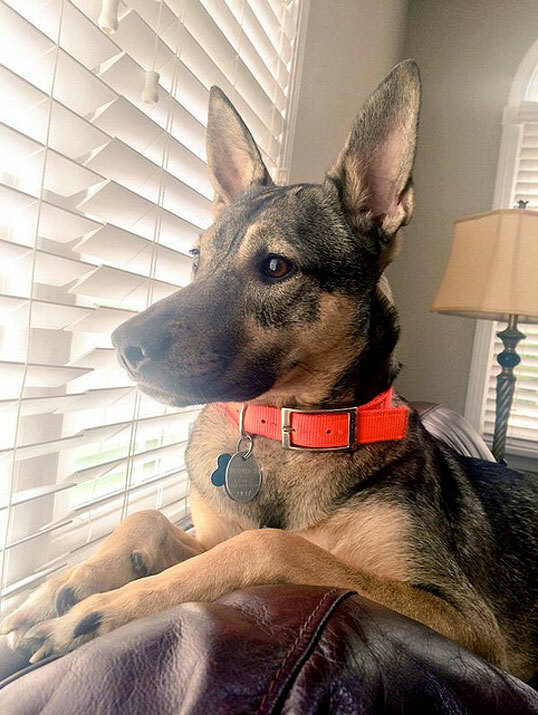 These days his biggest concern is the next visit from the UPS man, who always brings treats. 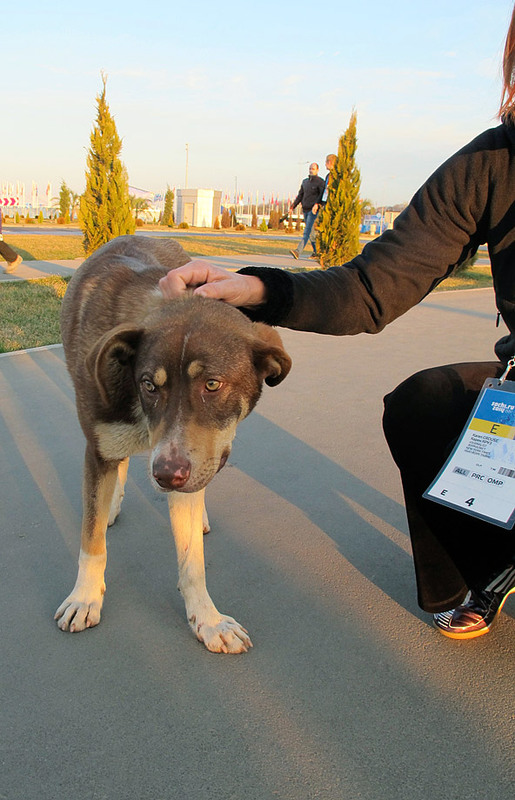 Where are other strays from Sochi? 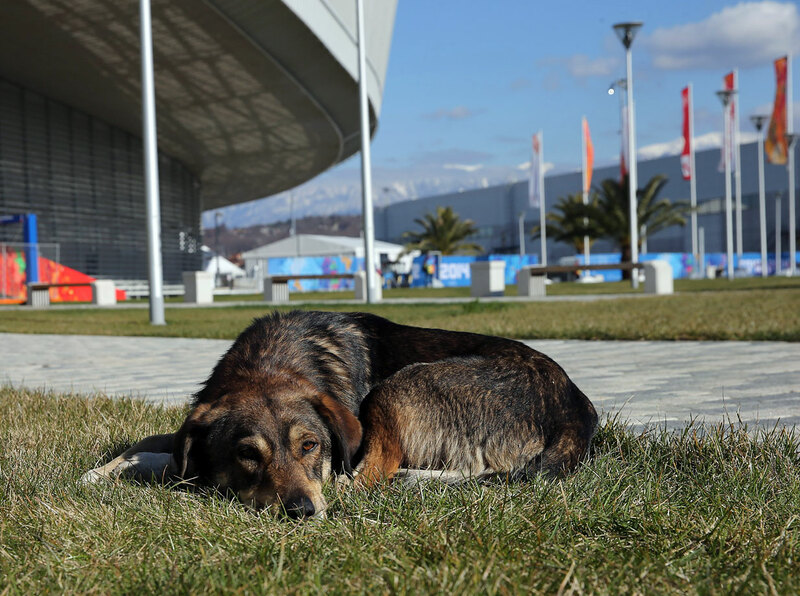 In the last 16 months, the stray dogs rescued at the Sochi Olympics by members of Team USA have scattered to homes across the U.S. 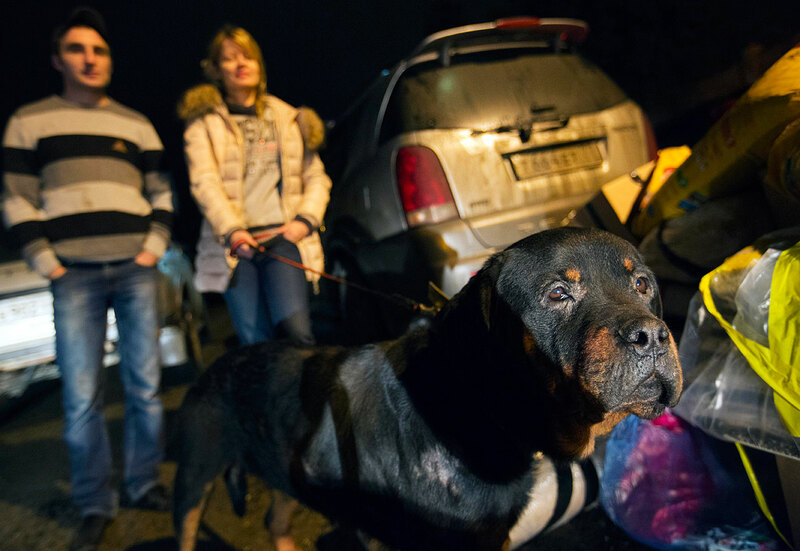 Some still live with the people who adopted them in Russia. 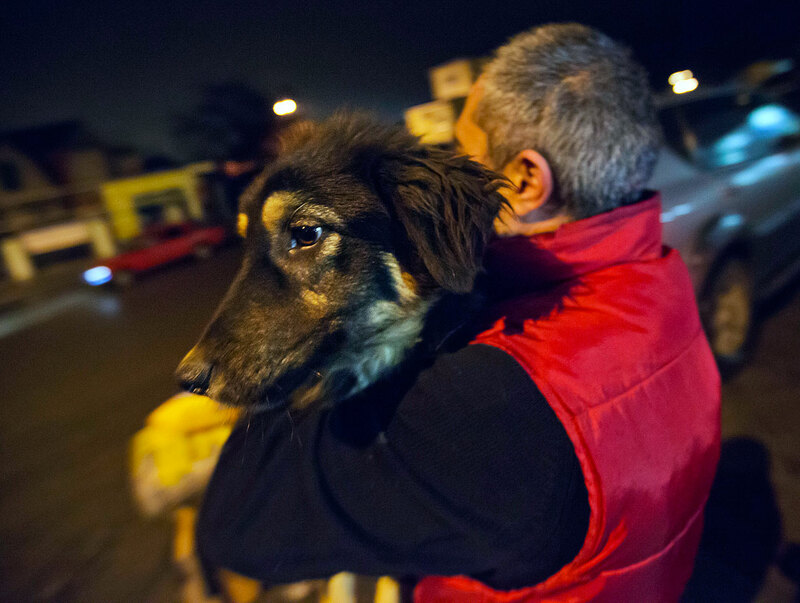 Some have found other homes. 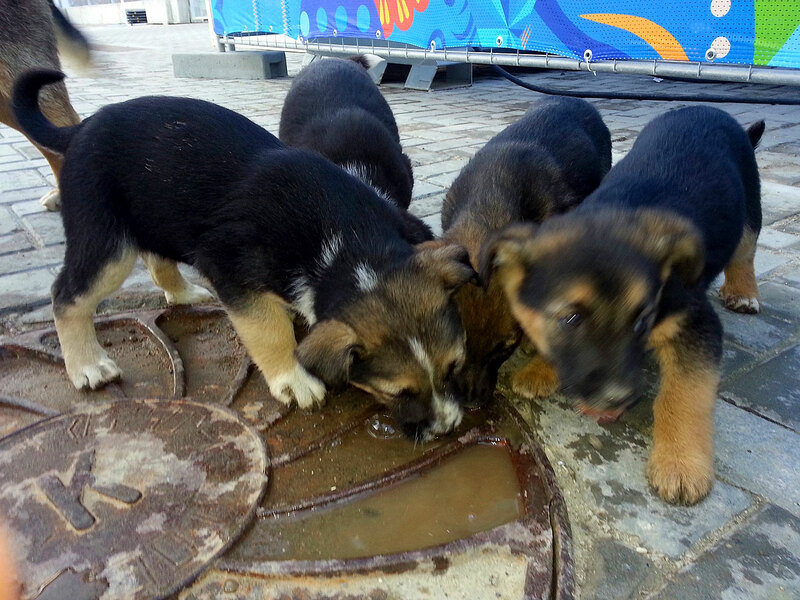 Here’s a roundup of the strays of Sochi. 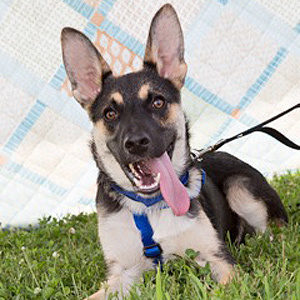 Sochi was one of two dogs brought home by David Backes, a center for the U.S. men’s hockey team, who holds the same job in the NHL as a member of the Blues. 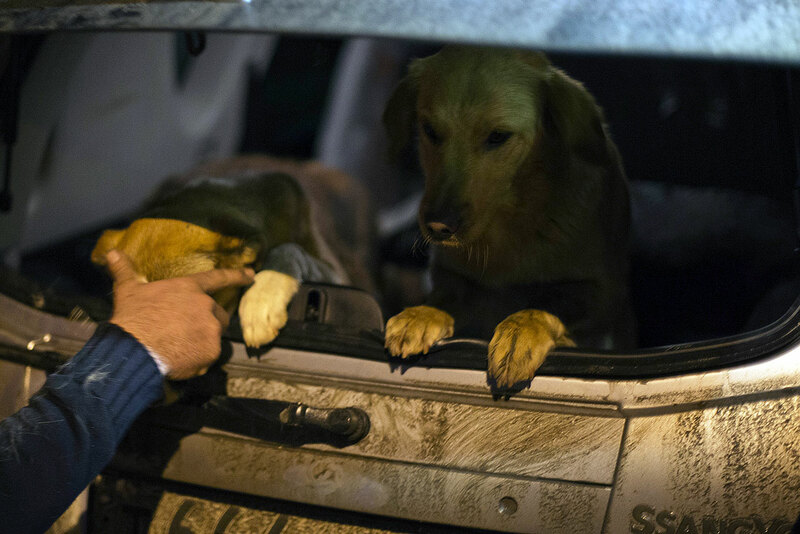 Backes and his wife, Kelly, who run an animal welfare charity called Athletes for Animals, already had several rescue animals at their St. Louis home. 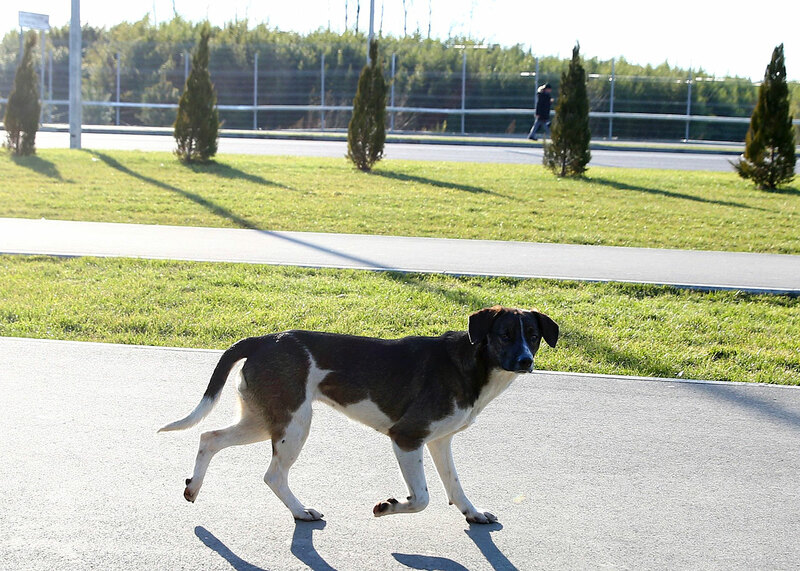 Backes gave one of the dogs to defenseman Kevin Shattenkirk, his Blues and Olympic teammate. 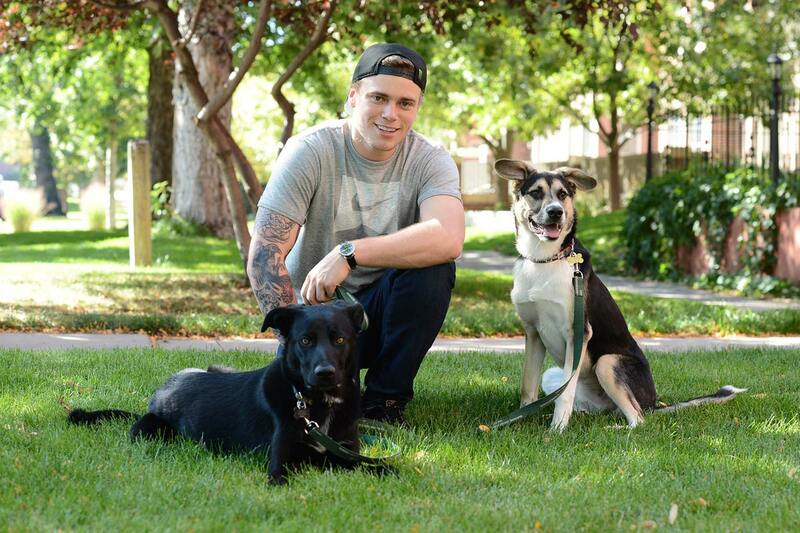 Shattenkirk, in turn, handed Sochi over to his parents, who live in Westchester County, N.Y.
Billy (above) also made the journey to the U.S. with the E! News crew. 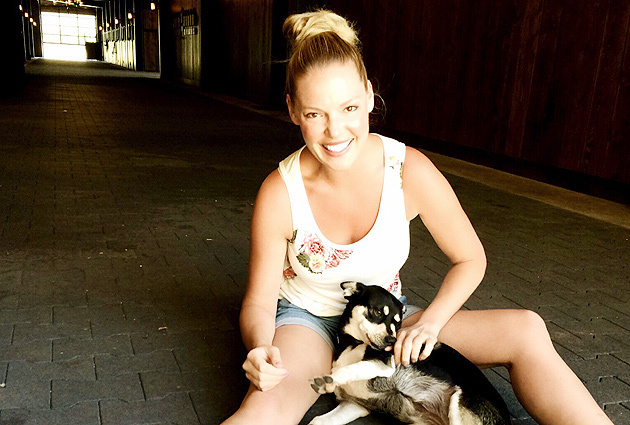 She lives on Heigl’s ranch in Utah—along with a number of other dogs, horses, miniature horses, goats and chickens—having come to the attention of the actress because her rescue was facilitated by Heigl’s late brother’s foundation. 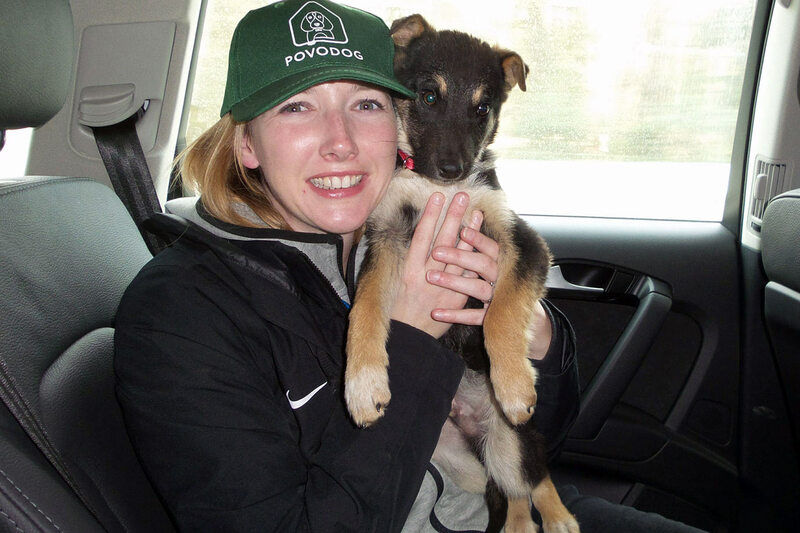 When Billy came out of quarantine, says Jennifer Brent, the foundation’s executive director, Heigl was in L.A. and said, “Oh, well, she can stay at my house!” The rest is history. 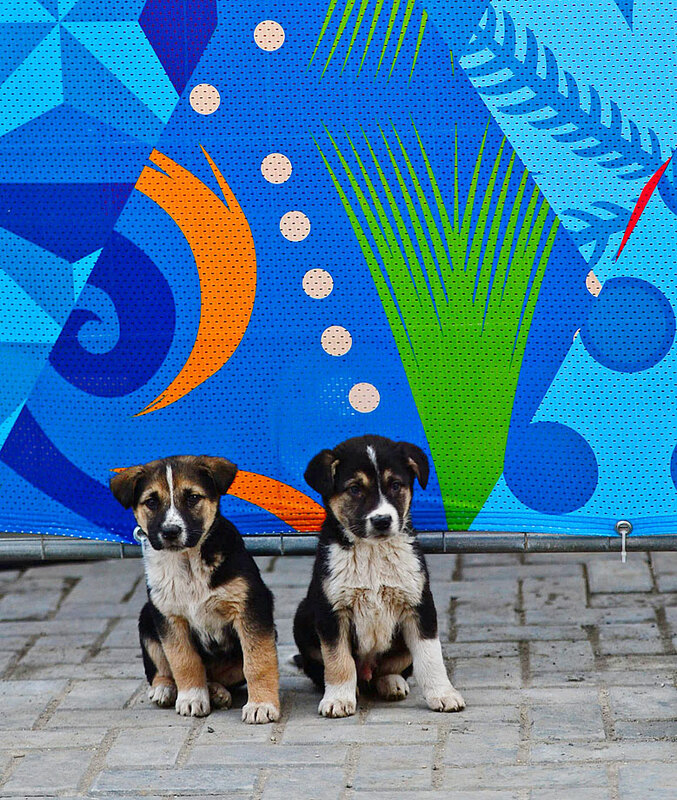 When the slopestyle skier first met Mamuchka, a mother dog and her four puppies, they were living under a trailer near the media center in Rosa Khutor. 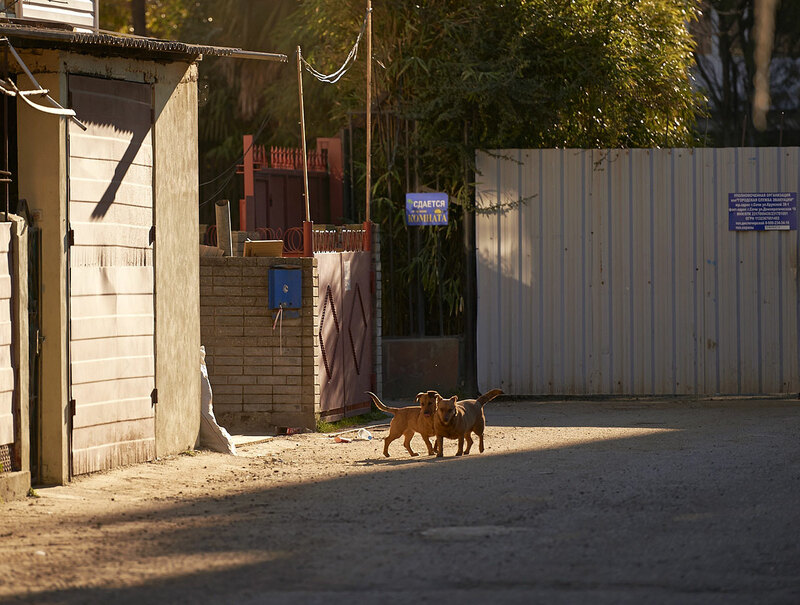 With help from Humane Society International and his friend, photographer Robin Macdonald, Kenworthy adopted the whole family. 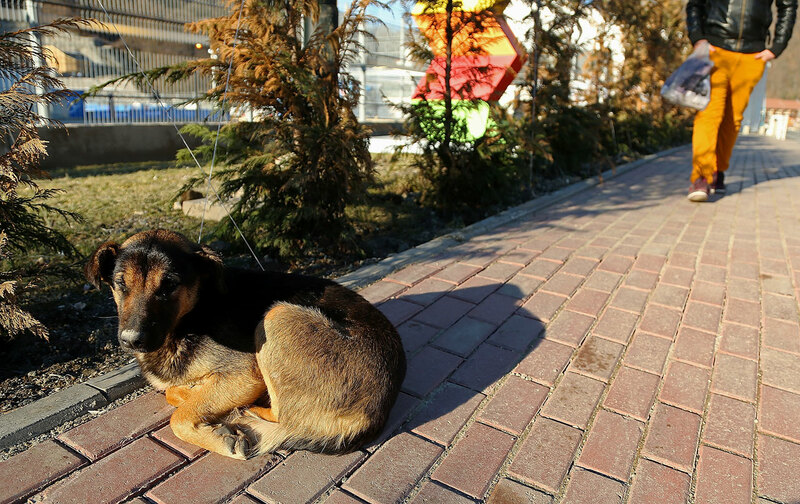 One puppy died before leaving Russia, and another, Rosa, died after getting to the U.S. 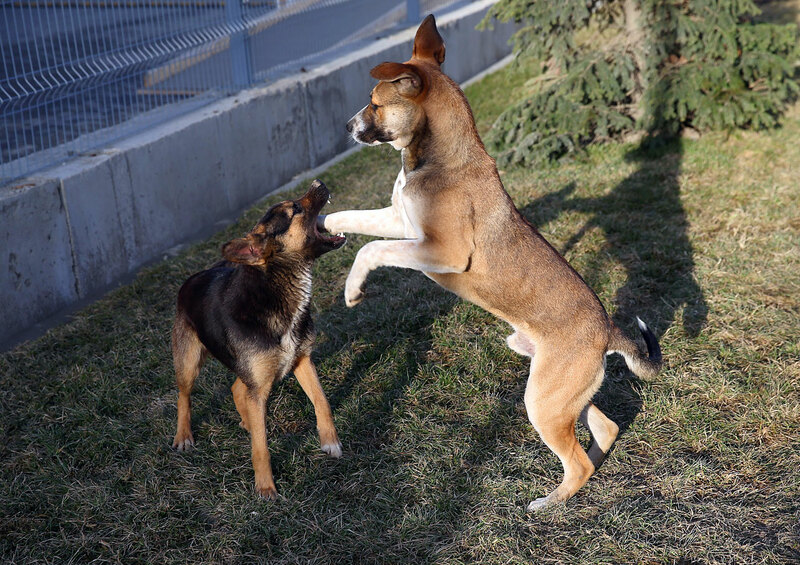 The two surviving puppies, Jake and Mishka (above), now split time between Kenworthy’s home in Denver and Macdonald’s home in Vancouver. 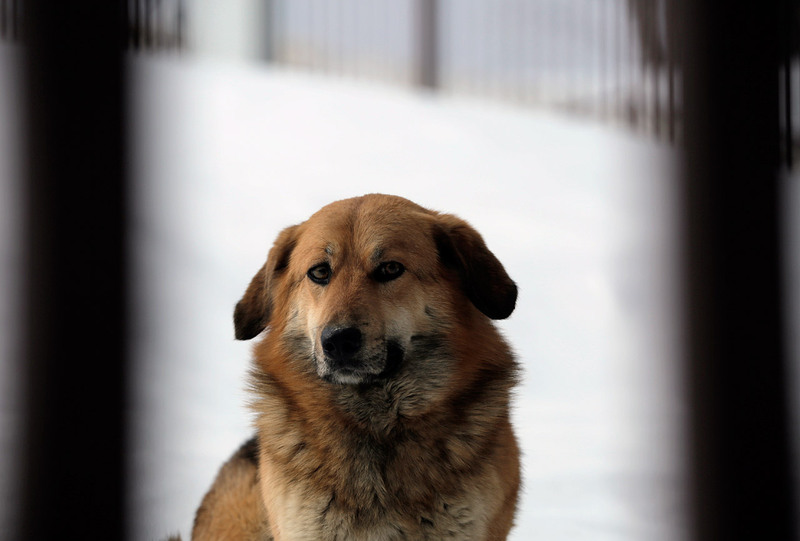 Mamuchka lives with Kenworthy’s mother, Pip, in the skier’s hometown of Telluride, Colo.